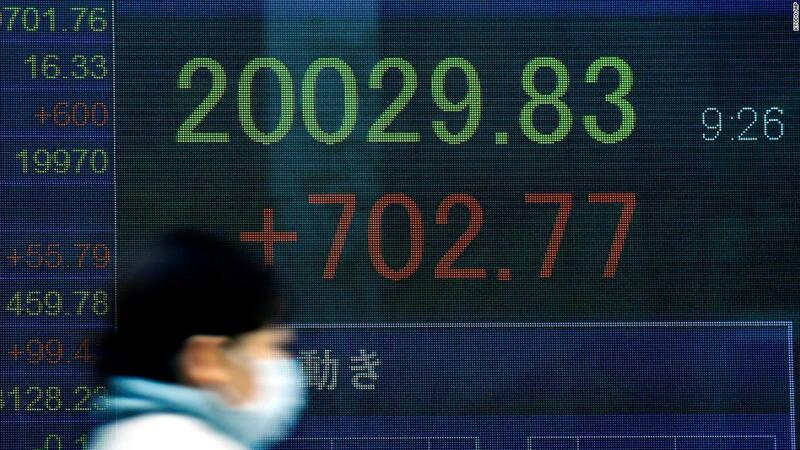 Japan's Nikkei rose 4% on Thursday morning, lifting the index from the bear market it reached only two days ago. The remarkable recovery of Wall Street is "a welcome breath for Asian investors," said Stephen Innes, Asia-Pacific Trade Director for online broker Oanda. "This recovery should put a stop to feverish anxiety, where investors believed that the investment world as we know it is coming to an end," he added. In Japan, energy stocks led the way, with large oil refinery Showa Shell Seki rising 9% on Thursday. The engineering and energy explorer Chiyoda Corp. even rose 8.6%. Apple's major supplier (AAPL), Sunny Optical (SNPTF), increased the rally in Hong Kong by 4.5%. Investors are now looking for stocks that have been oversold in recent years. But despite the Nikkei's morning recovery, Jesper Koll, head of Tokyo-based investment fund WisdomTree Japan, cautioned. "You want to see longer-term players who turn up the volume in the afternoon session to make sure it's not a one-week wonder," he said. "I expect real bargain hunters, especially local pension funds, to provide money in the afternoon session." Many of the concerns that have caused global investors in the first place are still in play, including China's slowing economy, the US-Chinese trade war and the unpredictability of Brexit. Some disquieting signals from Washington this week The traders resented the leadership of the world's largest economy. These included President Donald Trump's attacks on Federal Reserve President Jerome Powell, the partial closure of the US government and the unusual statement by US Treasury Secretary Steven Mnuchin about the country's banks. According to Innes, investors should not rule out greater volatility in the coming days. "Do not make yourself too comfortable as discussions on the various political and political issues are still in limbo," he said.